Born in Lucca on February 12 1808 His father, Luigi Matteucci was a lawyer and Minister of Justice under Prince Felice Baciocchi and his mother was the noblewoman Angiola Tomei-Albiani of Pietrasanta. Since he was a child, Felice showed a great entusiasm distinguishing himself in his studies, so much that at the age of eleven he had written some greatly appreciated poetry. It is known that during the 1823-24 school year, he appeared among the students of the Royal High School of Lucca (the University of Lucca at that time). His interest in science became clear when he was studying at the Royal Bourbon College of Paris where his father, then the Grand Duke’s representative at the court of the king of France, had enrolled him in 1824. It was at Paris that he began studying hydraulics and mechanics for which he showed a marked inclination. Felice Matteucci had to return to Italy with his father in December of 1825 because his brother, Francesco, had contracted a serious illness and therefore completed his formal education at Florence in there subjects. Once he terminated his studies, while his father had been nominated counselor to he High Court of Justice of Leopold II employed his time writing the Tuscan Codex and his mother looked after the household, Felice continued his scientific researches and looked after his family’s agricultural property: they possessed landed properties with two country homes, or villas, at Vorno and at Colle di Compito. It is without a doubt that during his stay at the villa of Colle di Compito that, observing day after day the movement of the water of the Sesto Lake that he drafted at the age of twenty-seven, a plan for the draining of the Bientina marshland. It was to this project, which is without a doubt his most diligent and skilled hydraulic study, that Matteucci became very attached to for all his life like a sweet magical juvenile dream. Others, like Ximenes, Larga and Nottolini, had devoted themselves to the draining of the Bientina marshlands, but they had never held in consideration the natural slope of the countryside of Lucca which is inclined towards the Arno river on the left side of the Serchio river, and therefore wanted, so a popular phrase says, to send the water upwards, when trying to drain the water from the Sesto Lake to the Serchio river. Boscovich, Tommaso Perelli and Giuseppe Manetti noticed the error but they only left some vague notes that were insufficient for demonstrating the way to do it in their projects. With meticulous diligence, Matteucci took all the measurements necessary, weighed up the pros and cons, took the precise measurements of the height of the lake and the slope of the land, and examinated all the difficulties that could be encountered. With all this, he concluded that in order to drain the water to the sea. a canal that followed the natural slope of the land towards the Arno river, “the Matteucci Canal”, was needed. It was a marvelous project, rich with great works like rectifying the course of the Arno near San Giovanni alla Vena and Uliveto; a difficult task that was foreseen and deemed surmountable but rendered the draining certain. Matteucci asked Giuseppe Venturoli, an expert of the subject at the time, for his opinion and besides revealing the projects value concluded saying: …My opinion is that Mr. Matteucci’s project, because it aims towards a utilizible goal, and because it chooses the most fit methods to attain the draining, is worthy of consideration and encouragement; and I consider it superior to the others I know of until now, because it works towards a more extensive and perfect draining of Lake Bientina. The project caused a sensation, so much so that Prince Demidoff was induced into setting up a society for the realization of forecasted work; the documents were ready but the Prince withdrew from the society and it it went bankrupt before it was founded. Matteucci presented the project to the Gran-ducal Government which had the Bientina marshland reclamation at heart, but the Commission, in which Father Eugenio Barsanti took part, chose the project of Commendatore Alessandro Manetti, director of water and roadway works. Matteucci, who was convinced that his project was better and moreover would have given profit to the community, received such a great delusion because of the Commision’s decision that it conditioned forever his life. Manett’s project, after many years of work and incalculable costs ,was a failure and this increased Matteucci’s regret. Mattuecci, who in the meantime became friends with Father Eugenio Barsanti, abandoned hydraulics and he dedicated himself to mechanics, by entering a partnership with him. From this moment, Matteucci’s life is bound to that of the internal combustion engine that, along with Barsanti, he projected, developed and tested. Along with his friend he shared the vicissitudes, the hopes, the joyful moments and the delusions. The association soon became a Society, from which Matteucci, some years later in 1862, resigned after a nervous breakdown. Two years later, in 1864, his friend died and, except in some episodes which have been reported in the text, Matteucci’s adventure with the internal combustion engine came to an end. Matteucci’s life on earth ended some years later, on September 13 1887, after he fell ill once again. He was an unhappy person, with great talent and a weak character. 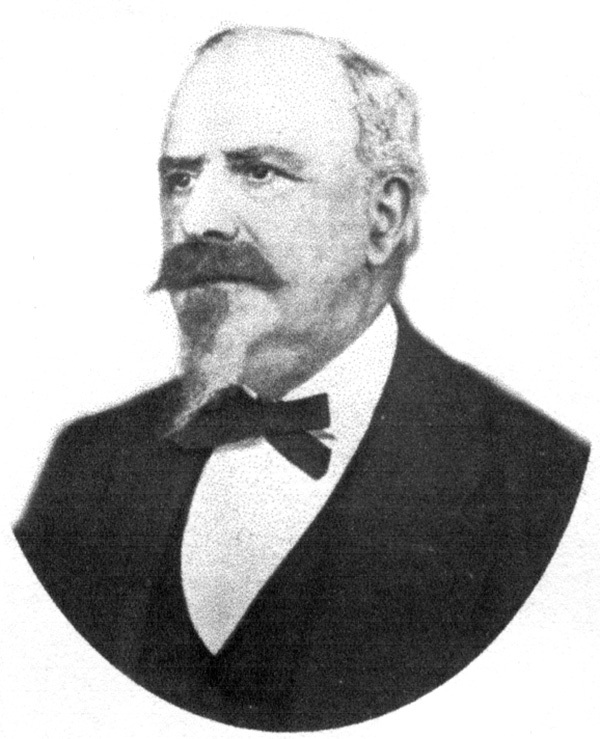 Matteucci is buried in Campi Bisenzio in a noble crypt in his family’s villa, which was once property of his wife, Giulia Ramirez of Montalvo. A tombstone, set in place in 1932 on the facade of Palazzo Matteucci in Lucca commemorates instead his birthplace.